The 1901 shower valve range from Bristan features a stylish traditional crosshead design in a stunning gold finish. 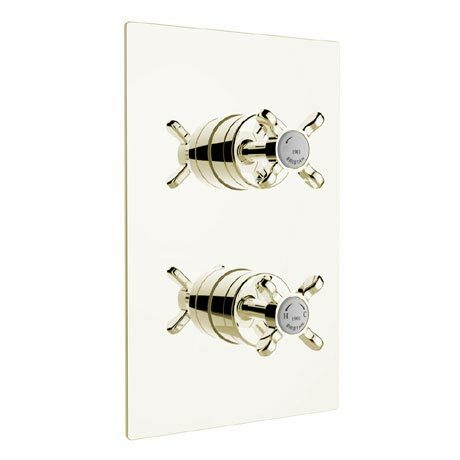 This 1901 Thermostatic Recessed Dual Control Shower Valve is suitable for all plumbing systems, requiring an operating pressure between 0.2 bar and 5.0 bar and comes with dual controls that regulate the temperature and flow separately. Supply - Suitable for all plumbing conditions, preferably balanced. The inlet hot water temperature must be at least 10% above the required blend temperature.